NEWS FLASH: Lancaster was awarded the Sr Herdsire of the Year at the 2010 MAPACA Jubilee! We're celebrating with half price breedings! Book yours today! Lancaster daughters took the black female championship AND reserve at the Empire show! The same girls returned a week later to take the championship AND reserve the following weekend in VT! Christina has a great combination of Legacy and Pachacuti genetics. She has great confirmation and wonderful dense fiber that has tight crimp from skin to tip. Crimp is very constistent over her whole body. Christina's sire is Legacy's El Duro(Pedro to those that know him). He is a multiple championship winner whose cria are making a splash on the show circuit. 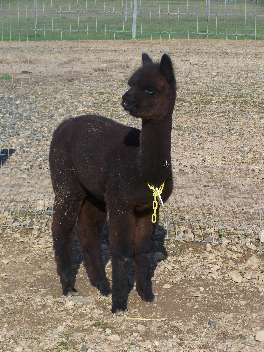 Christina had a Lancaster cria 8/30/10 and he is spectacular. Very dense, bright crimpy fleece. Watch for this one at the spring shows! Christina is bred back to Lancaster,(who wouldn't want a repeat of this cria!) and also come with a breeding to any AABA hersire. Please visit www.adirondackalpacabreeders.com for a list. Leila is a phenomenal female that has all of the must haves and then a few extras! 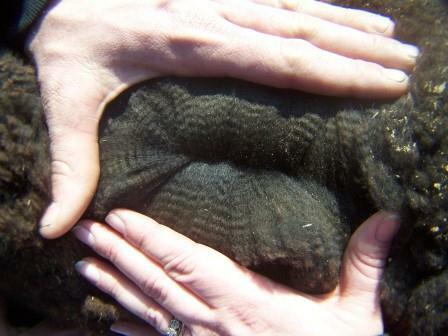 She displays perfect conformation, outstanding fleece, an even bite and is happy and healthy. Okay, so there are the must haves. 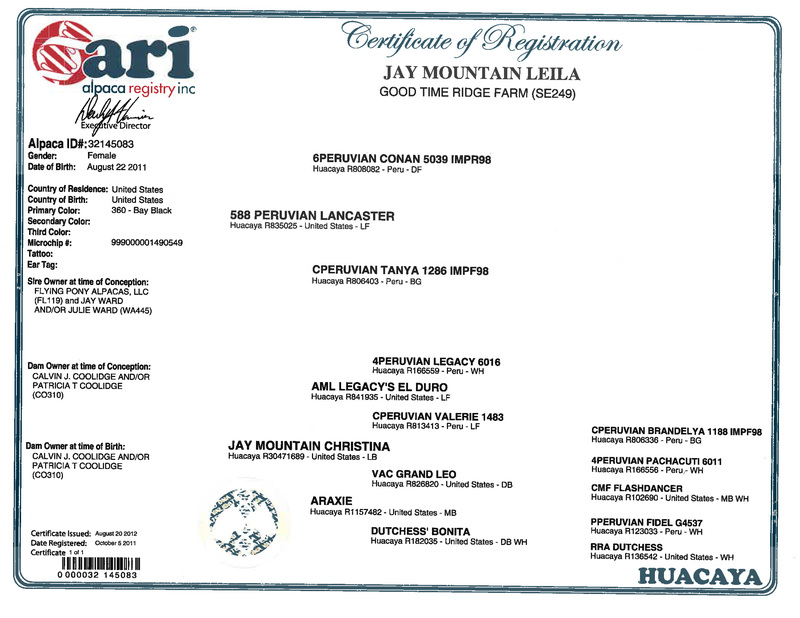 The extras you can find in Leila are that she is FULL PERUVIAN and sired by Herdsire of the Year, 588Peruvian Lancaster, her grandsire is 4Peruvian Legacy and that she has such varied color in her background, you can take her in any direction. Leila has been expose to FPA Armageddon for a fall 2014 cria. We will also sell with a future breeding to any of our herdsires. Leila is a versatile young girl with many years of breeding ahead of her. Call Cheri today to discuss options.